You know those days when admins are in CA deleting web applications just having fun … but then the phone rings? Any users are getting 404? And somebody just deleted the whole production web application? Yeah, not fun. Anyway, changing the theme color for Central Admin can be a safe way to make PROD look different and encourage admins to be careful. Simple enough. However, Central Admin lacks that snazzy “change the look” button which Team Sites enjoy. 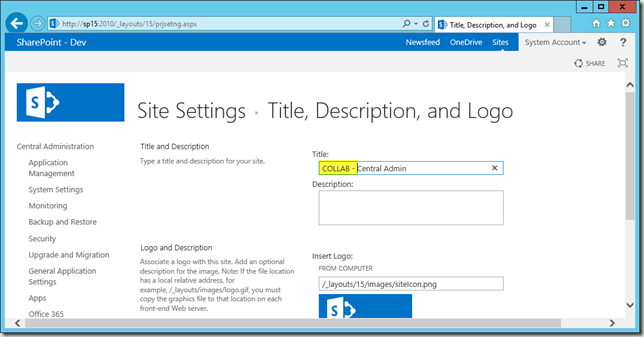 You can still get there by typing in “/_layouts/15/designgallery.aspx” to launch Change The Look. From here, pick our a unique color to make PROD stand out. Click “try” and then “keep.” Voila! 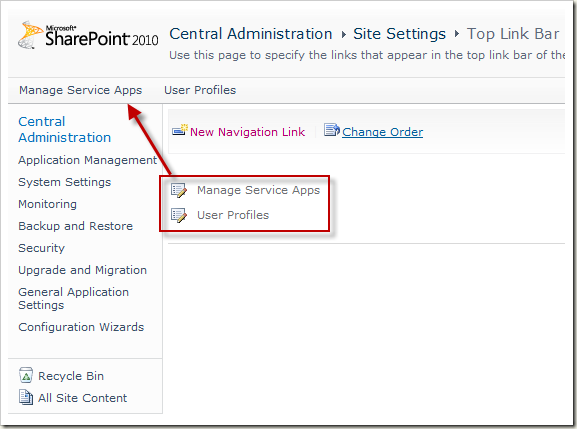 You now have a unique look on PROD Central Admin which can help mitigate against “whoops” mistakes by admins. I personally keep all lower environment in default blue and PROD in green. UPDATE – Give your farm a name! Another trick I like is to update the homepage text of Central Admin. 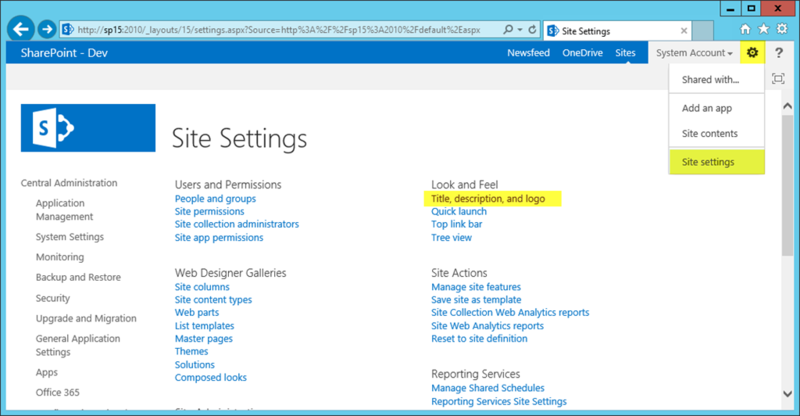 This gives the farm a “name” and makes it easier to reference when speaking with other SharePoint engineers. Saying “PROD” might be vague if you have multiple farms (Collaboration, Intranet, Extranet, Custom Application, etc.). Clearly marking the farm with a “name” on the Central Admin homepage makes it easier for everyone to remember. 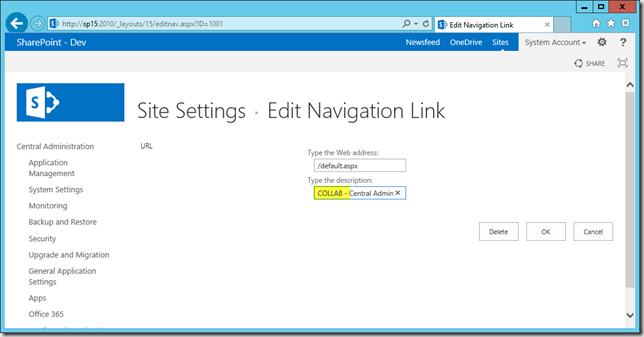 UPDATE – Populate top nav! 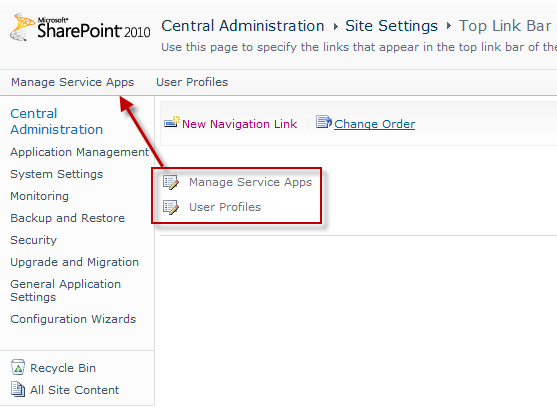 One more trick I like is to add top navigation links to Central Admin. 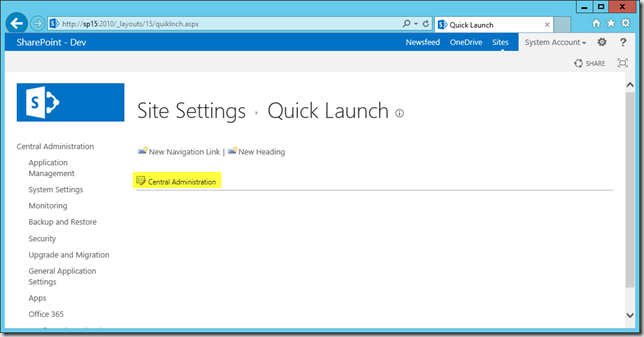 This gives admins a quick way to “jump” between pages without as much navigation effort clicking through default menus. Enjoy! Write-Host "CREATING $webUrl $linkUrl $linkTitle"
Many SharePoint farms display the below warning. Unfortunately it tends to get people’s blood pressure up. While it’s good to know about your farm, some of the underlying conditions may persist or even by expected. A bright red color on the homepage creates a sense of panic which generally isn’t helpful. For my CA homepage I made a simple CSS addition via Content Editor Web Part to override the background color. I still see the messages, but they come across less like a blaring three alarm fire and more like a gentle reminder. The SharePoint Health Analyzer has detected some critical issues that require your attention. View these issues. Below is the internal code for a Content Editor Web Part to apply more calm color styling. 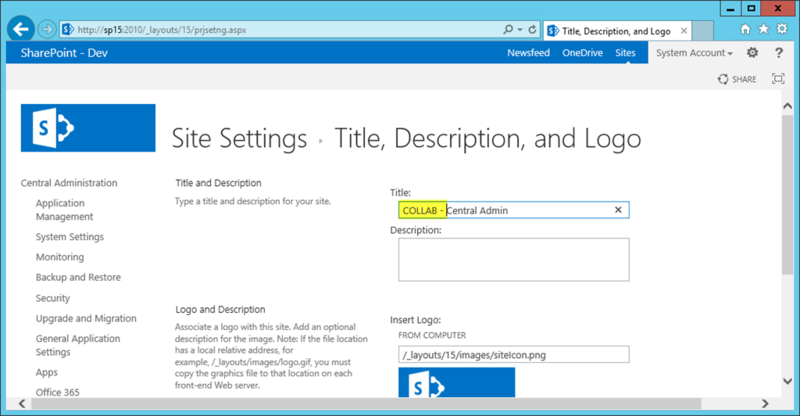 Then you can easily import to your environment. While clicking aimlessly around Central Admin today I thought “there must be a better way”. For all of the fancy new bells and whistles SharePoint 2010 offers, it sure did make CA navigation a bit cumbersome. Most tasks are 4 clicks away and I’m sorry but I’m just too lazy for that. I tried editing the left Quick Launch, no luck. However, Top Navigation is wide open. The beautiful thing here is how it follows you anywhere in the site. From any CA page, you can see those Top Nav items staring right back at you. 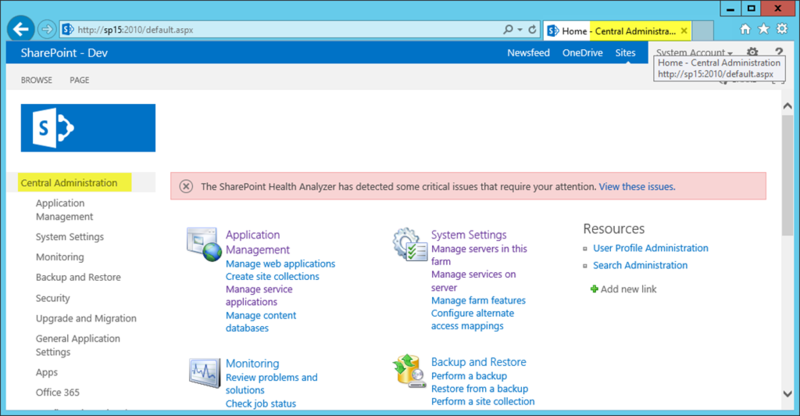 My favorite is to add “Manage Service Applications” to “/_admin/ServiceApplications.aspx” because so much time is spent here. Also, Rez Khamis wrote http://sp2010resourcelinks.codeplex.com/ to help people populate the CA homepage “Resource Links” and is incredibly helpful. If you haven’t tried it then go download a copy. While you have to navigate through the CA homepage, it’s still much better than what the product offers out of the box.